Many skywatchers insist that Winter is the best time for stargazing. Long periods of darkness, earlier sunsets, less hazy and therefore clearer atmosphere… What else can one ask for? Others argue all these advantages are not worth frozen fingers, red noses and icy toes and prefer warmer summer days. Whatever your view of winter stargazing is, you have to admit that the sky in these cold months is absolutely magical! So, what’s out there to see in February 2019? Can you help the Campaign to Protect Rural England create a map of the dark skies and, ultimately, to fight the light pollution? Take part in the Star Count 2019! 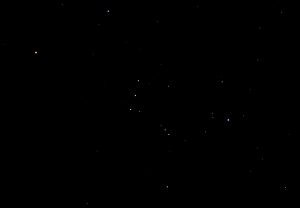 All you need to do is to count how many stars you can see in the constellation of Orion the Hunter and submit your results. Only count the stars inside the “hourglass shape” (the Orion’s body) and don’t include the four corner stars! Your result can be anything less than 10 stars (if you are in the city center) to 30 stars or more (if you are in the countryside). Hurry up! The event ends on February 23. The annual Dark Skies Festival is a wonderful opportunity for families, beginner stargazers and experienced astronomers to go out and enjoy the magic of the starry sky, learn more about space and meet the like minded people. The events will take place between February 15th and March 3rd in four UK National Parks: The Yorkshire Dales, Northumberland, North York Moors and the South Downs. There will be walks, lectures, stargazing sessions, astrophotography workshops…so many activities to choose from. “Come stargazing by canoe” event sounds absolutely amazing, don’t you think? There are so many things you can watch from the comfort of your own garden or a nearby park: the Moon, bright winter constellations, planets and even the International Space Station. You don’t even need special equipment! As always with stargazing, the Moon gets in the way of seeing the not-so-bright celestial objects, so unless you are planning to observe the Moon and phases of the Moon, the best time to watch the sky is when the Moon is the smallest. Third Quarter Moon: February 26. 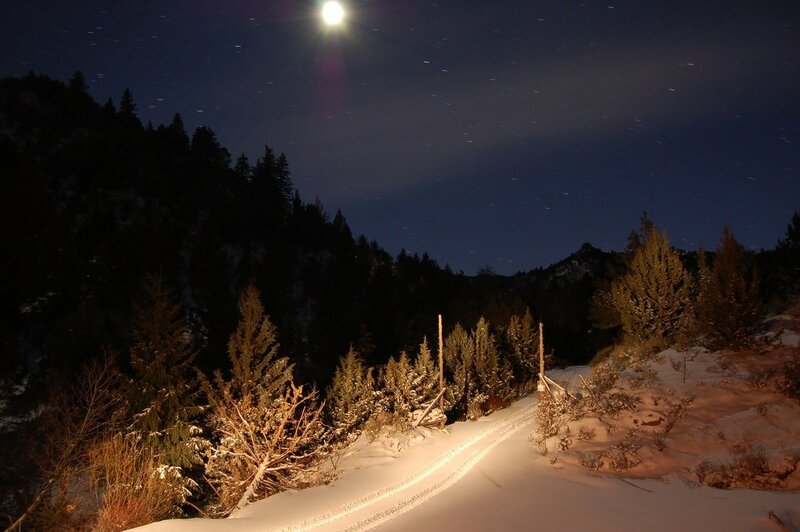 The February Full Moon is traditionally called the Snow Moon or the Hunger Moon. On that day the Moon will be at its closest point to the Earth (called perigee) therefore the February Full Moon will be the biggest in 2019. Some call it Supermoon! Venus, Mars, Mercury, Jupiter and Saturn can be all spotted in the February 2019 sky. Planet Mercury will make its appearance in the second half of the month. To spot the little planet, look West soon after the sunset. Choose a dark location, unobstructed by trees and buildings, as faint Mercury will be just above the horizon. If using binoculars, make sure to wait until the Sun fully sets. The best chance to observe Mercury will be on February 26-27. Mars will be hanging up in the western evening sky all month long. With its distinctive red colour Mars is impossible to miss. To find Venus, Jupiter and Saturn, look south-east early in the morning! Our portable planetarium offers stargazing session where you can learn which constellations are visible in the sky in different seasons and how to find them, hear the stories behind the constellations and learn about some of the famous stars. Check availability now!